Making a revolutionary product is never easy. Taking it as a challenge Alien Electronics LTD worked to design a longboard attaining the most important aspects people looking for, in an electric vehicle. They designed the coolest, most innovative, powerful, high spec electric longboard, ‘APS PREDATOR V4R’. The notion behind the New Predator V4R is innovation and attention to detail. 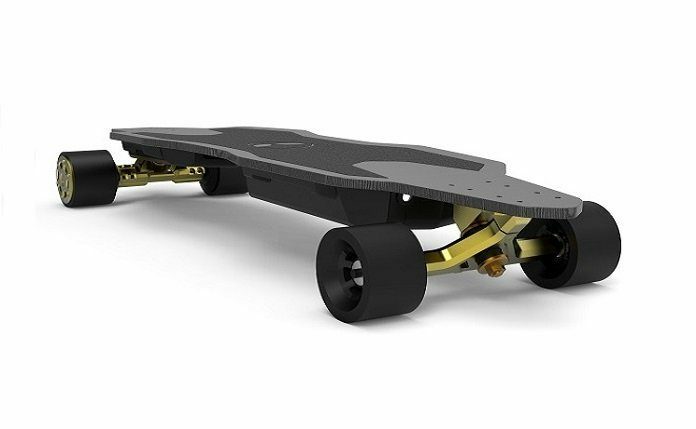 A team of engineering experts has designed and developed a top spec product for the longboarding performance experience. The V4R has extensively tested to ensure a user-friendly electric longboard with top end components. It outshines the other electric longboards on the market today, from the cheapest to the most expensive. The composite, metal, and aerospace grade materials make the difference in the look, weight, and handling of the board. Every part of the Longboard, from a simple washer to the main battery has been designed and made to the highest specification. The complete electronics and hardware assembly is designed with respect to individuals requirements. The rider can easily swap to any deck in 10 minutes by using the hardware provided. All the parts used are standard longboard fitment. A team has created a deck that is ergonomic to suit a large variety of users. The ride experience is perfectly balanced, and the product is not too extreme or too moderate. All the parts including the deck size, wheels, trucks, electronics are designed to meet the best between performance and comfort. 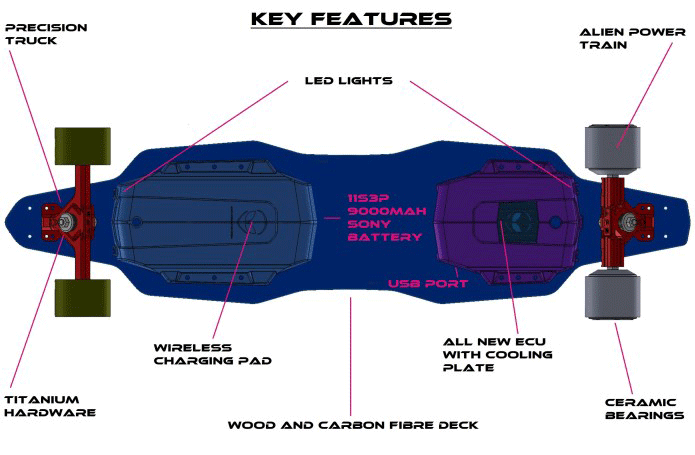 Its beautifully designed Maple and CARBON FIBRE deck allow fantastic control and stability when riding. Also, it provides flexibility and vibration absorption simultaneously. The custom-made SONY battery pack gives an Incredible 48 Km range. The innovative speed controller and motors combo allow a top speed of 55 Kmph. The 2 times long stator sensored HUB brushless motors with 1600 Watt peak power per motor makes this performance better. Power output, brake force and riding mode can be selected by the user through the remote control (and an APP in second development). A weight and pressure sensor added on to the deck can detect the rider position then smart cut off the power to reduce the risk of the rider falling off. If the sensor will detect a complete loss of the rider weight the board will automatically stop. For the ultimate option in electric skateboard technology and performance, look no further than the PREDATOR V4R. An exciting addition to city transportation.